The SikuÂ Kuhn fertilizer spreader was one of the first accessories I bought for my RC tractors and I had always planned to use it and the butterfly mower as battery packs. My initial attempts at tractor conversions left no space for a battery in the models because I used through hole components an larger servos which took up way too much space. As a result I was expecting to need to provide power from a source external to the tractor and I taught a 9 volt battery would work perfectly. Since then I’ve miniaturised the design and have a bit more space to play with so I changed to 3.7 volt LiPo batteries instead. TheÂ fertilizer spreader is an obvious choice for a battery pack because it is basically just a spacious box with a hinged lid, you really couldn’t get a more suitable attachment. There is really nothing special about this build, I first drilled a small hole in the rear of the model to let the wires through, added a Dupont connector to one end because I use those on the tractor and threaded the wires through. 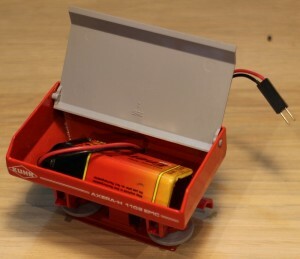 Originally I put a 9 V battery connector on the other end of the wires because I had voltage regulators in the tractors but when I upgraded the tractors I settled on a 3.7 V design so I also upgraded the battery pack. 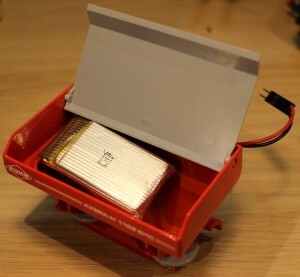 I simply cut away the 9 V battery connector and soldered a 3.7 V LiPo battery there instead. This gives it way more power, around 650 mAh at 3.7 V compared to around 100 mAh at 9 V so it will last much longer. 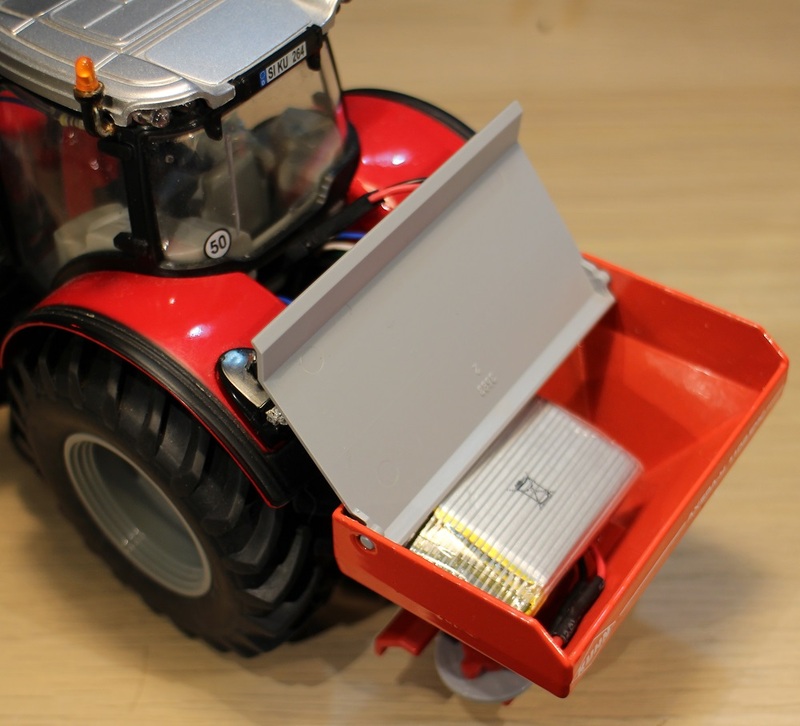 There is oneÂ videoÂ of this simple battery pack which shows me upgrading it from my original design which used a 9 V battery into the design which works with my new tractor configuration using the 3.7 V battery.